Description: 3rdball - Responsive Video Blogger Templates is a professional video blogger template that make for all video makers. If you have any video blog on blogspot, then 3rdball is perfect for your blog. Its a minimalist and clean design that you'll like. 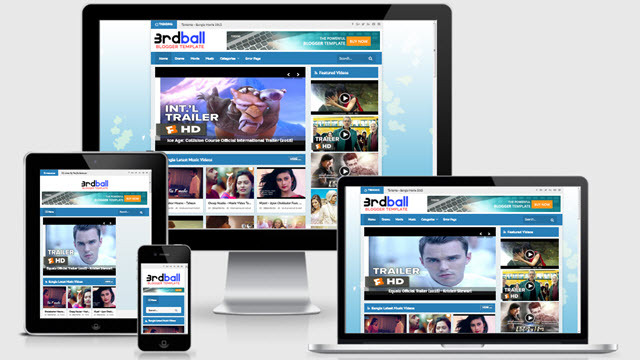 3rdball is a high quality template that, make for video blog, video portal and video site. Our previous video template 3rdbell was also a popular video template.